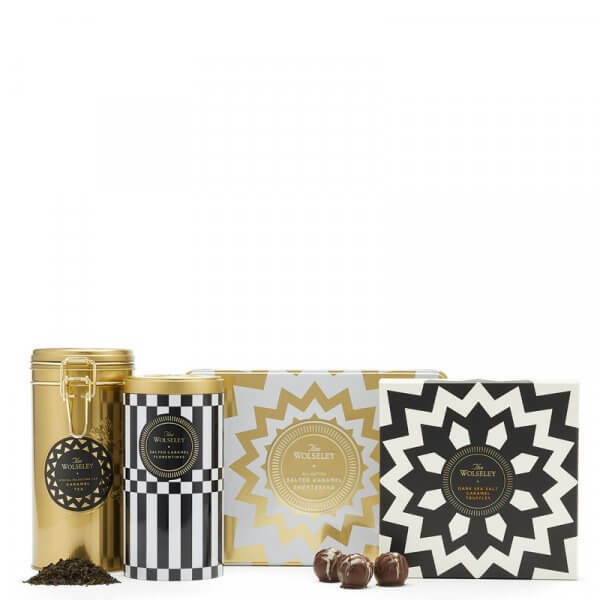 This indulgent collection – an ideal gift for anyone particularly partial to salted caramel – is made up of our latest assortment of Florentines, Shortbread and Dark Sea Salt Caramel Truffles. Also included is our unique Caramel Tea, produced for The Wolseley by a small NGO-run co-operative in the Sahyadri Mountains in Southern India. 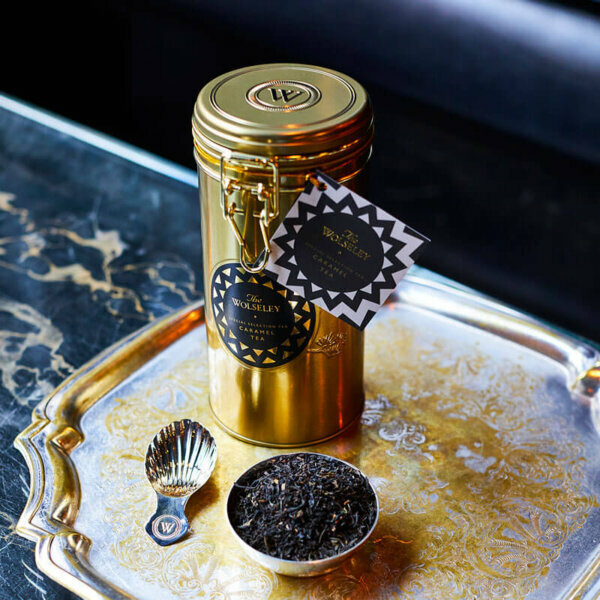 Emblematic of the Wolseley’s classic interior design, the smart, re-usable gold tea tin evokes the Chinoiserie panels that adorn the walls of the restaurant; the iconic chevron floor lending its design to the monochromatic truffle box and gold shortbread tin. For information on ingredients & allergens please email shop@thewolseley.com.